The creative process in arts, music, writing or crafting, can open us up to new aspects of ourselves; parts hidden and concealed through convention and fear. Thoughts, dreams, imaginings can all be explored non-verbally in a therapeutic setting to enable us to self-heal. 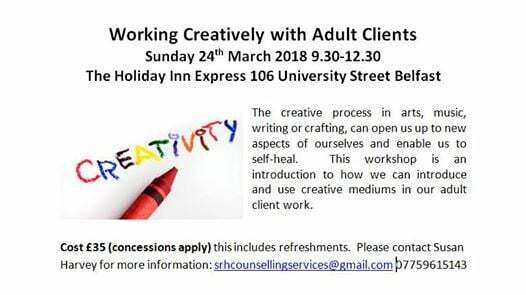 This workshop is an introduction to how we can creatively introduce and use creative mediums in our adult client work.